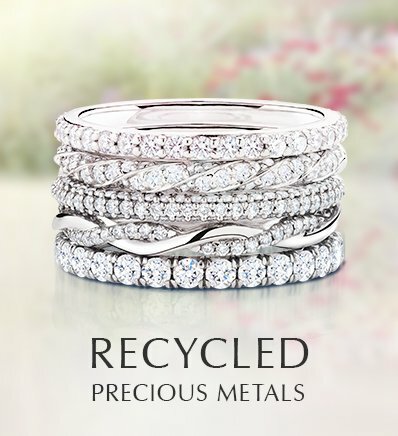 Often considered the less exciting cousin to the engagement ring, wedding rings have evolved far beyond the simple precious metal bands that we’ve come to associate them with. 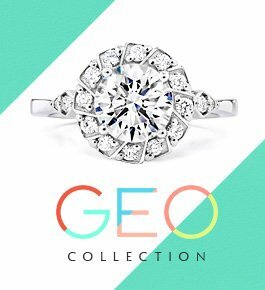 As more and more brides favor styles that express their individual personalities, wedding ring designs have become just as unique and varied as that of engagement rings. 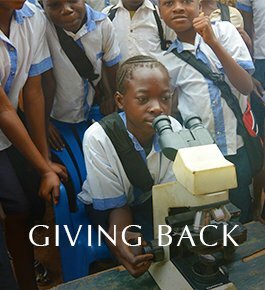 What is a wedding ring? The first examples of wedding rings date back to Ancient Egypt, where the circular band served as a symbol of eternal love and commitment. To keep one’s spouse close, wedding rings were worn on the left ring finger, as Ancient Egyptians believed that this was the location of a vein that lead directly to the heart. 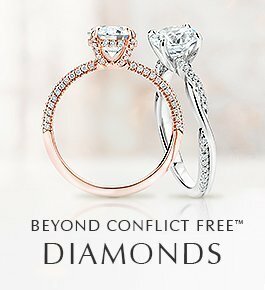 For many people today, wedding rings continue to symbolize love and commitment between two individuals and remain most commonly worn on the ring finger of the left hand. Not to be confused with an engagement ring, wedding rings are typically exchanged in front of friends and family at a ceremony, and are only worn after the marriage has taken place. 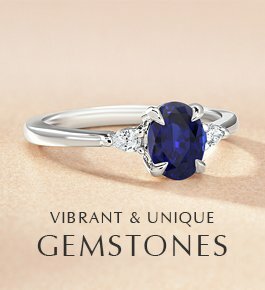 An engagement ring, on the other hand, often includes a center diamond or precious gemstone and is presented as part of a proposal and worn in the lead up to, as well as after the wedding. However, we see many couples breaking tradition and choosing to wear alternative engagement ring styles with no center gemstone, wearing only wedding bands, or opting for many other beautiful alternatives. 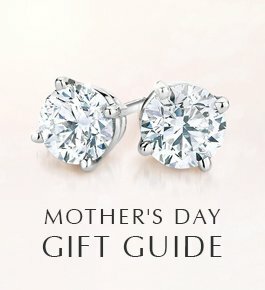 What is a bridal set? Although engagement and wedding rings can be worn separately, the most common way to wear the rings is to stack them together on the ring finger. 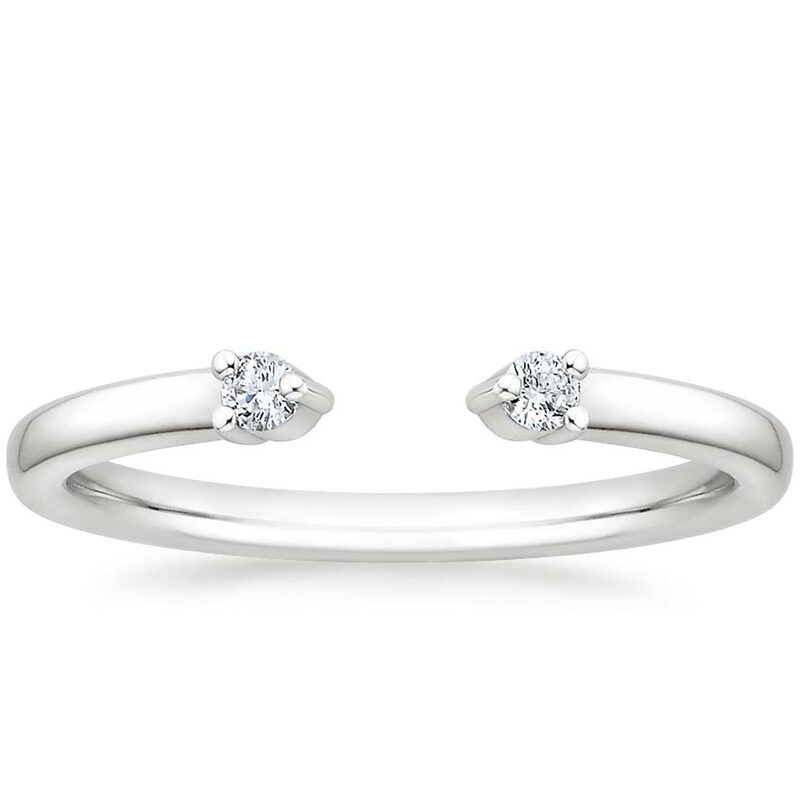 For those looking to perfectly pair the two rings, a bridal set is an ideal choice. A bridal set includes an engagement and wedding ring with similar detailing and accents, such that both rings come together to form a harmonious, symmetrical pairing. 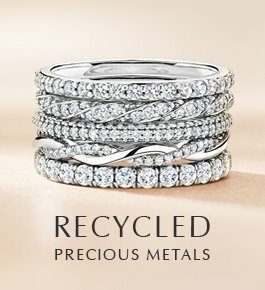 To help find the wedding ring style that best suits you, we’ve put together a collection of our favorite unique wedding ring designs. While each of these designs comes as a bridal set, they are distinct enough to be worn on their own. With their intricate diamond detailing, decorative metalwork and striking silhouettes, these wedding rings are great alternatives for the non-traditional bride. 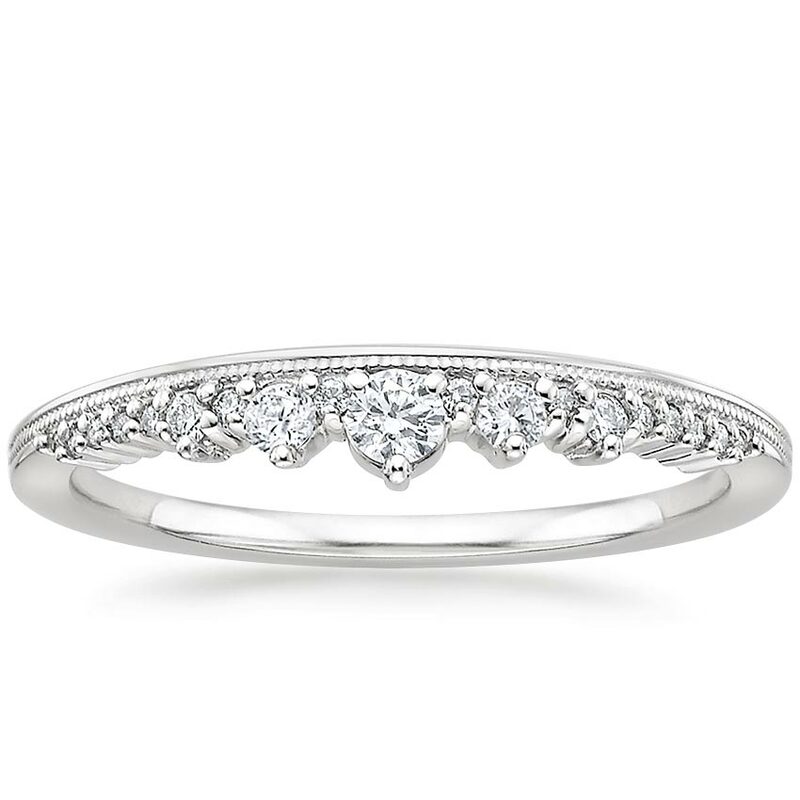 Featuring a subtle chevron shape, the Flair Diamond Ring is a chic, contemporary take on the traditional wedding ring. With scalloped pavé diamonds accenting the band’s geometric shape, this ring is the perfect balance of delicate and bold. 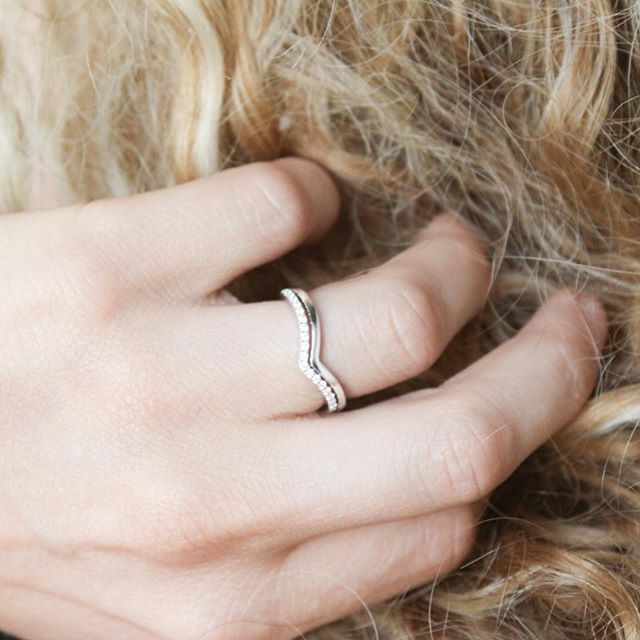 Understated and elegant, the Wren Diamond Ring pairs minimalist design with versatility. The delicate diamonds on either end of the lustrous band leave a small opening in the center, allowing the Wren to perfectly fit many engagement ring styles when stacked. 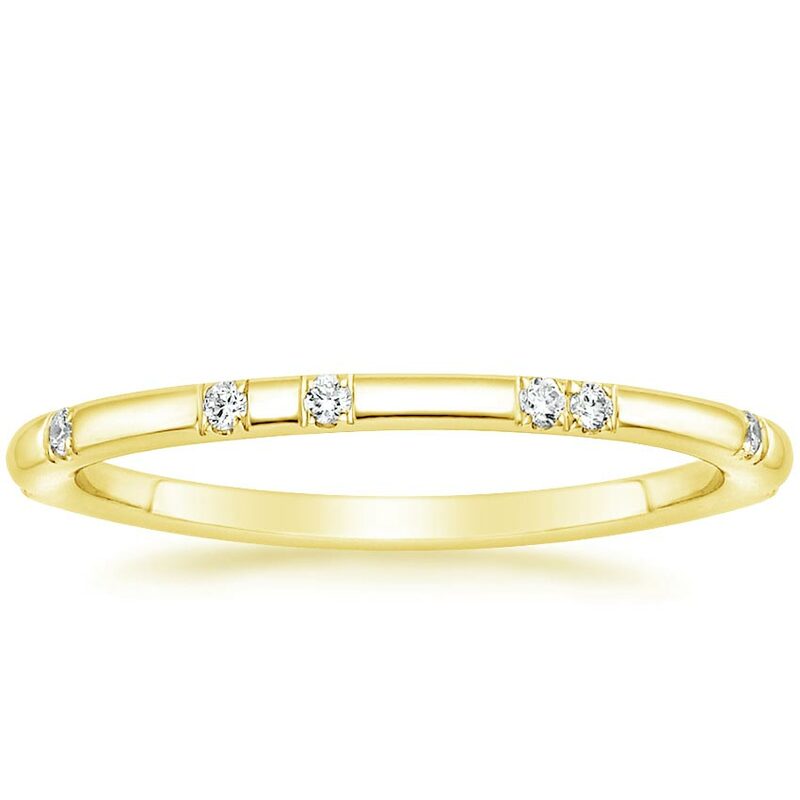 The Astra Diamond Ring contrasts its sleek, modern gold band with subtle diamond accents that are organically positioned along its side. The result is a design that is at once contemporary and timeless. 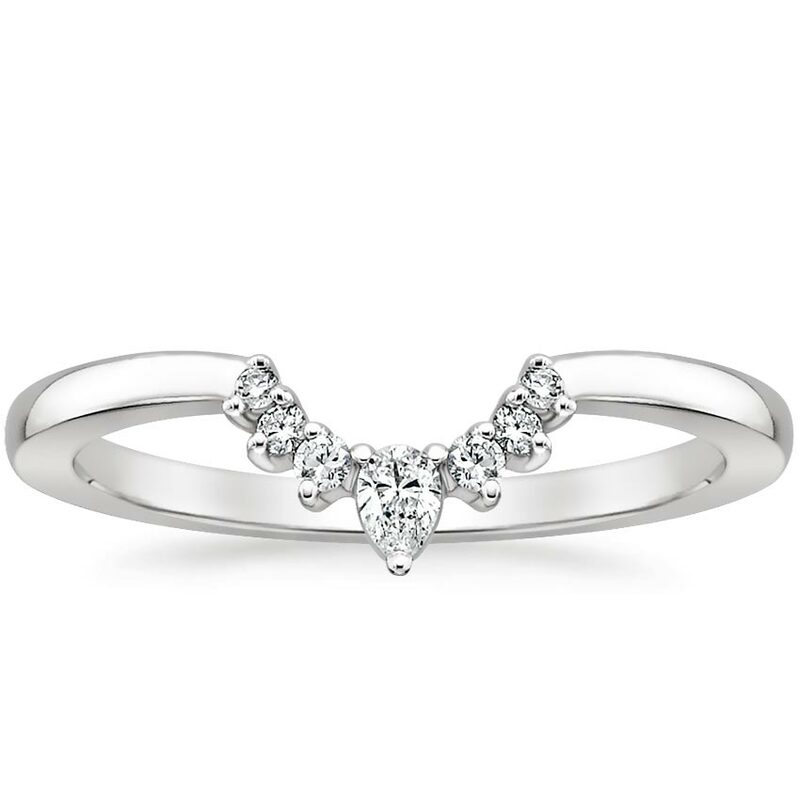 With its intricate detailing and regal quality, the appropriately named Crown Diamond Ring is a sophisticated alternative to the traditional wedding ring style. Here, exquisite milgrain detailing and diamond accents come together to create a unique feel. The Crescent Diamond Ring features a diamond-accented crescent center that delicately frames and accentuates many engagement ring pairings. 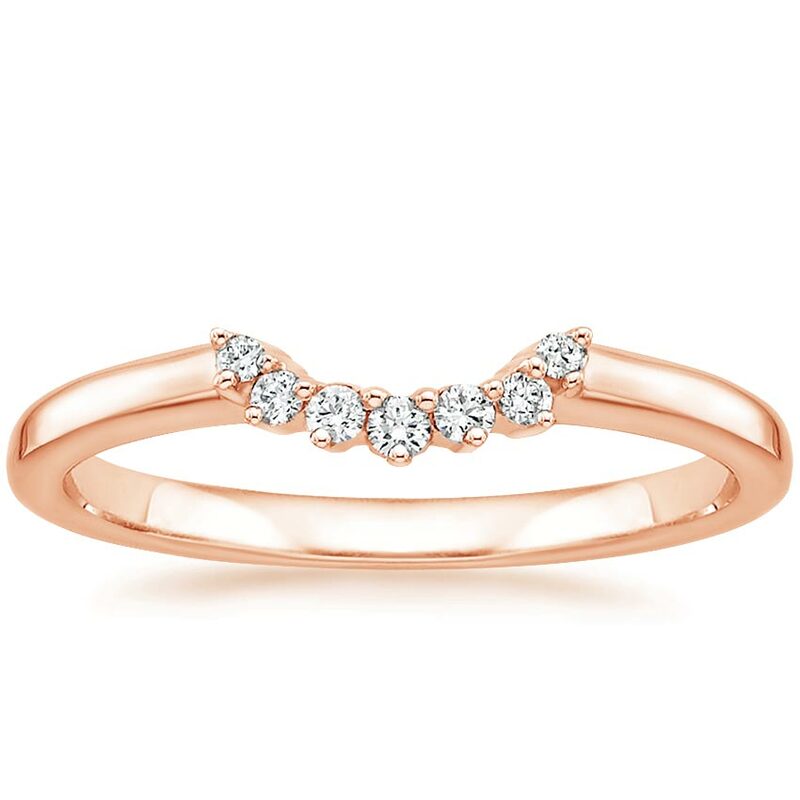 Sparkling diamond accents and an unusual silhouette also make this ring subtly stand out when worn on its own. 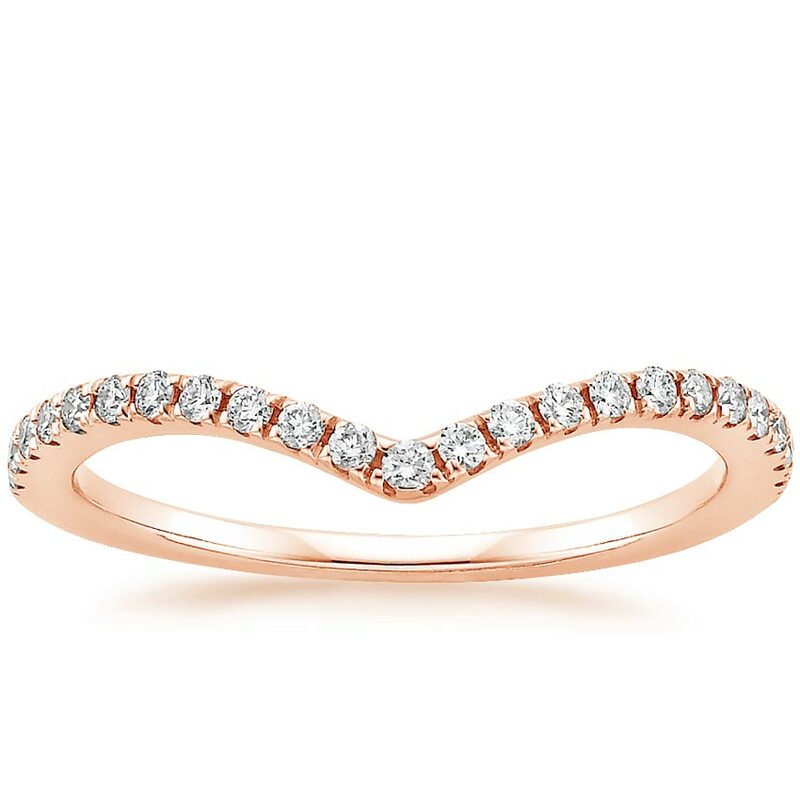 Bold and striking, the Lunette Diamond Ring contrasts a sleek, simple band with intricate diamond detailing. The use of a pear-shaped diamond center creates an strikingly distinctive look. 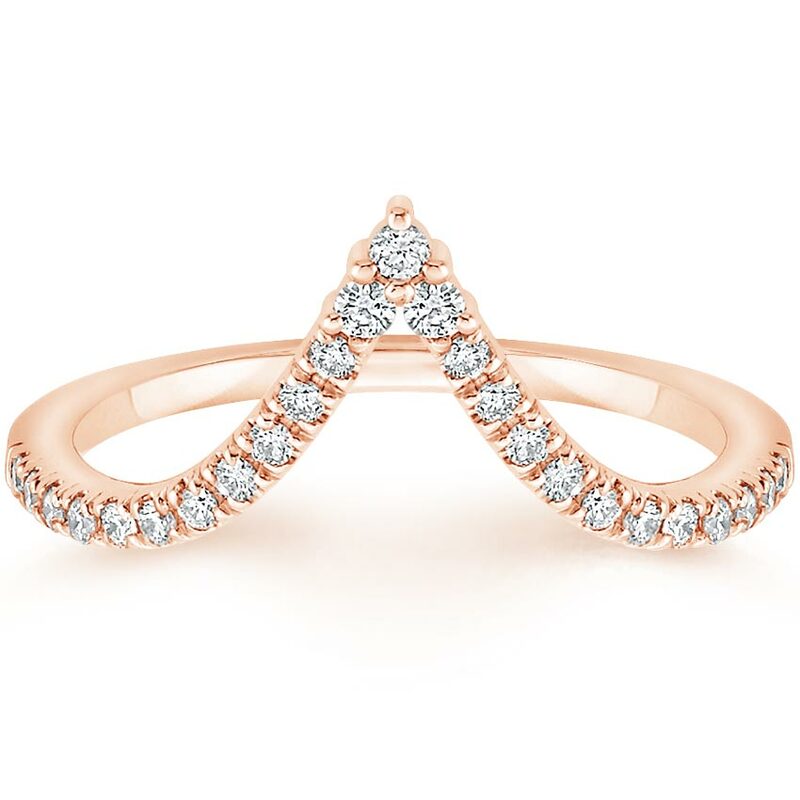 The Nouveau Diamond Ring features an eye-catching chevron-shaped band, adorned with shimmering pavé diamonds. 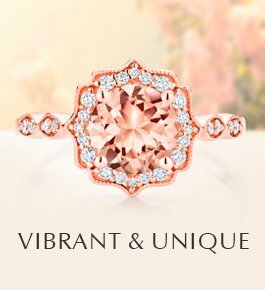 The silhouette and sparkle of the ring are reminiscent of the Art Nouveau era, while adding a contemporary twist. Which non-traditional wedding rings are your favorites? Are there any other styles that you would add to this list? Let us know on our Instagram, Facebook, Twitter, or in the comments below!